In 1887, Félix Théodore Millet (1844-1929) invented a tricycle with a motor consisting of a rotary 5-cylinder star. 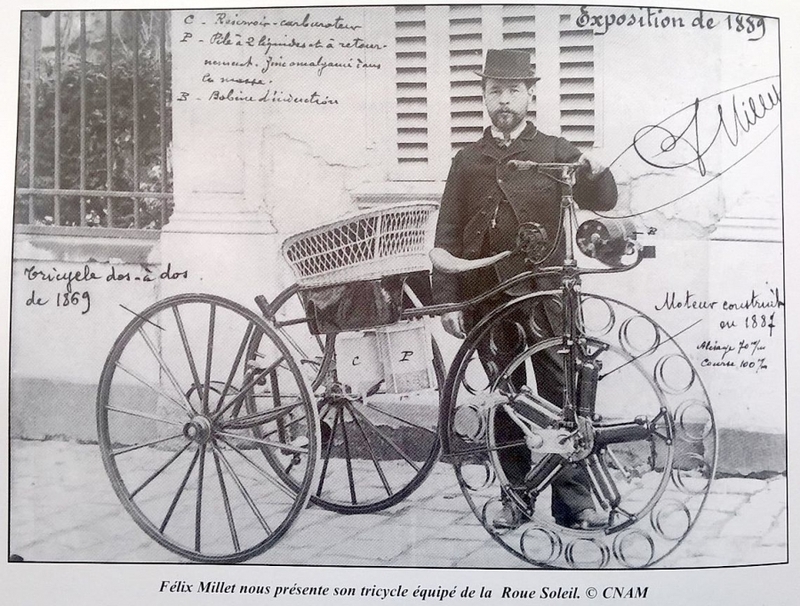 He then climbs it into the rear wheel of a bicycle in 1893, riding a motorcycle. 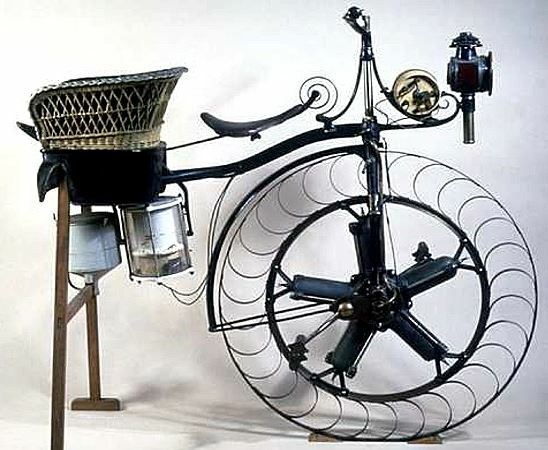 This is the first multi-cylinder motorcycle.